With Eagle Electric Tow Tractors, you can tow and push anything from people trams to rocket launch platforms efficiently, reliably and safely. 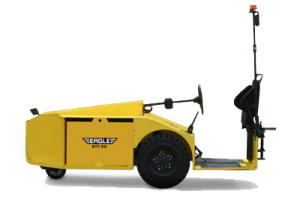 Eagle also manufactures more specialized industrial tow tractors such as the RTT and STT electric tow tractor models. The revolutionary RTT and STT family of tow tractors is explicitly designed around the strict ergonomics, safety, and efficiency requirements of today's high-volume manufacturers. 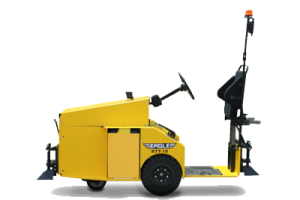 Equipped with an efficient 48V or 80V A/C brushless motor and an optional "Smart Charge" battery, the Eagle RTT and STT electric tuggers are the most efficient and flexible industrial tuggers on the market today. 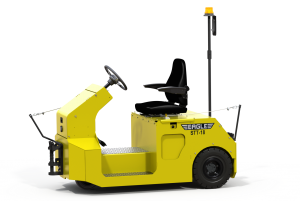 Choose from other aircraft tug models including the RTT-12 Industrial Tug, RTT-18 Industrial Tug, RTT-50 Industrial Tug, and the STT-18 Industrial Tug, and more. 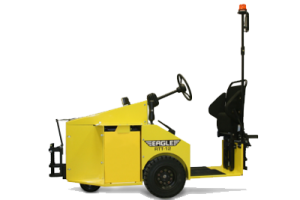 Get a quote today for highly-efficient aircraft tugs, industrial tugs, and more at Eagle Tugs!